Taps usually leak because the seals inside have worn out from years of use. Older style taps have jumper valves, more commonly known as washers. A washer is a usually made of rubber, that is squashed against a valve seat. Over time with constant use the washer wears, and can sometimes break. Small amounts of dirt in the water squashed between the washer and the valve body can cause the seat of the valve to wear, thus causing a leak and making an annoying drip. Washers can be easily changed. Valve seats can be replaced but occasionally the whole tap assembly will need to be replaced. As a washer wears you have to turn the tap off tighter and tighter to stop the flow. When washers are replaced they should stop the water flow with minimal effort. Excessive force, such as you were using with the old washers can cause the new washers to split and fail very quickly. So care needs to be taken when changing washers. Changing washers can be a simple process, but it can also present many problems and difficulties. They can be stuck or require special tools to disassemble. It is easy to damage the pipework behind a wall without even knowing it. That’s why it’s best to use a plumber to solve the dripping tap problem for you. They are experienced and licensed, and that means they are insured. Not all wall taps have washers, some taps have ceramic disks, these are usually a tap that only turns a quarter or a half between full flow and stopped. These parts are specific to the manufacture of the tapware and can be difficult to replace without the right tools. They need to be put back exactly the same way or they can fail to function correctly. Ceramic discs can be expensive more than 20 times the cost of a washer. Leaver operated taps do not have washers they have a replaceable cartridge. Often special tools are needed to access the cartridge. The cartridges for these taps can be specific to the particular model and/or manufacturer. It is often very difficult to determine the manufacturer or the model of a tap as this information is generally not written or stamped anywhere on the actual tap. We recommend for a basic lever operated tap that is leaking, that is over 5 years of age, that it is more economical to just replace the tap, as this is often cheaper than having it repaired. A new tap also comes with a new warranty. The higher the water pressure the less time your taps will last. When your tap leaks or gets hard to turn on or off it’s a good time to call plumber and get them repaired. Woolley’s Plumbing has been operating in Melbourne for 55 years and can help you with all your tap repairs. 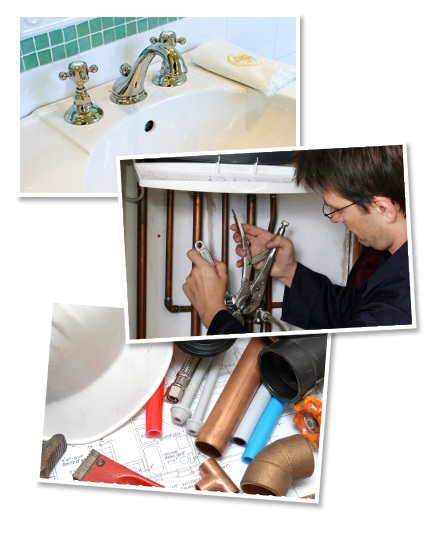 Our experienced plumbers can fix or replace your taps quickly and efficiently. We offer a comprehensive range of plumbing services from general maintenance to heating & hot water installation. Call now for prompt attention by an experienced plumber! Greater Melbourne including northern & eastern suburbs.